When it comes to issues with your car’s engine, you wind up hoping that it’s a simple fix. Any major problem with your car or truck’s engine could lead to needing a brand new one, costing you thousands of dollars just to get your car up and running again. In some cases, you may have been able to buy a new vehicle instead! Unfortunately, many auto repair shops will exploit the high price point of a new vehicle engine, insisting that you replace your engine when a minor repair would suffice instead. When a simple fix is ignored, and a new engine is installed instead, it isn’t with your best interests in mind at all. KUHN AUTOMOTIVE is the trusted name in minor engine repairs. 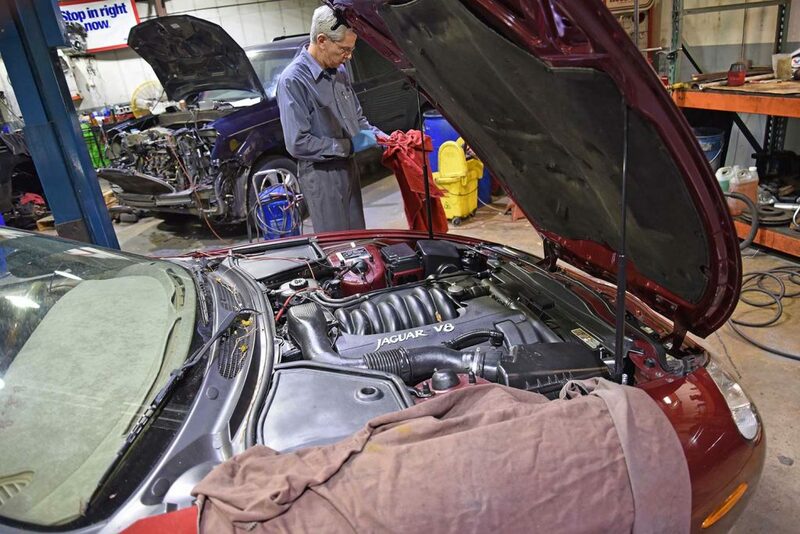 We do our best to save you time and money with efficient engine repairs. When you need to know that you aren’t paying too much for engine repairs, you get the best deal possible. If you can’t seem to keep your check engine light from coming on and you keep running back to the mechanic, chances are they’re going to tell you to trade your old engine out to stop you from returning. However, if it’s a matter of a faulty reading, chances are all you require is a new oxygen sensor. Comparatively, it is worth it to pay a fraction of the cost of a new engine to make your car free of that annoying blinking light. Proper head gaskets promote combustion and keep your engine running. Before you replace your engine, your head gaskets need inspection first. Fluid leaks can be bigger problems, but sometimes a simple hose or valve replacement can correct this. We’ll locate the source of leaks to give you the best results. Timing belts and chains are necessary to keep the engine turning over. If you can’t seem to keep your car running or have difficulty starting it, let us check your timing instruments first. Belts keep an engine running by tying the system together. However, belts wear out over time and need replacement. For all other minor engine repair services you need, just come to us. We can fix more engine problems than any other shop. The world's largest online community of automotive professionals. Automotive service Excellence. Certification for the Automotive Professional. Providing quality parts for the automotive professional.